If you ask Cindy Shaffer, she’ll tell you she’s not in the real estate business – she’s in the people business. “I’m creating places with meaning,” explains Shaffer, owner of Shaffer Development LLC. One of the few female developers in the metropolitan Milwaukee area, and among the few large-scale developers active in Ozaukee County, Shaffer began construction on Spur 16, a 14-acre town center development in Mequon, in April. Named for the railroad spur originally on the site, Spur 16 is the next phase of the Mequon Town Center, a $15 million mixed-use development with restaurants, retail space and apartments at Mequon and Cedarburg Roads completed in 2015. Shaffer, who spent her early career running a chain of Molly Maid franchises, said she has always loved real estate. “My parents would drive me around every Sunday and look for property,” she recalled. She bought her first property – a duplex in Cedarburg – in 2001 and converted it into condos. After rehabbing and selling several more duplexes, Shaffer scaled up to commercial projects. Despite Ozaukee County’s reputation for high barriers to entry, Shaffer has found success in the area. She was the first developer to test out the town center concept in Mequon with the successful Mequon Town Center. Before its completion in 2016, it had been two decades since a multi-family housing project had gone up in the city. “Sometimes it’s hard for people to see and be part of that change,” said Shaffer, who believes it’s her responsibility to help others see the vision. She brought a similar concept to Grafton with Lumberyard 1505, a mixed-use residential community in the heart of the Grafton Village Center. A second phase of apartment construction is currently underway. As a developer, Shaffer is proud to be able to create community gathering spaces that bring people together. At the top of her list of accomplishments is moving an existing gas station to become the Walter J. Schroeder American Legion at the Mequon Town Center. An equal source of pride is that Spur 16 will be the first LEED, or Leadership in Energy and Environmental Design, certified residential development in Mequon. Shaffer, 55, likes Ozaukee County because she knows it so well, but she hasn’t ruled out pursuing development projects in other communities. “I live there and I love it, but I’m open to exploring other areas if it is the right fit,” she said. When Spur 16 and the second phase of Lumberyard 1505 are finished, Shaffer will have completed close to $100 million in successful development projects. 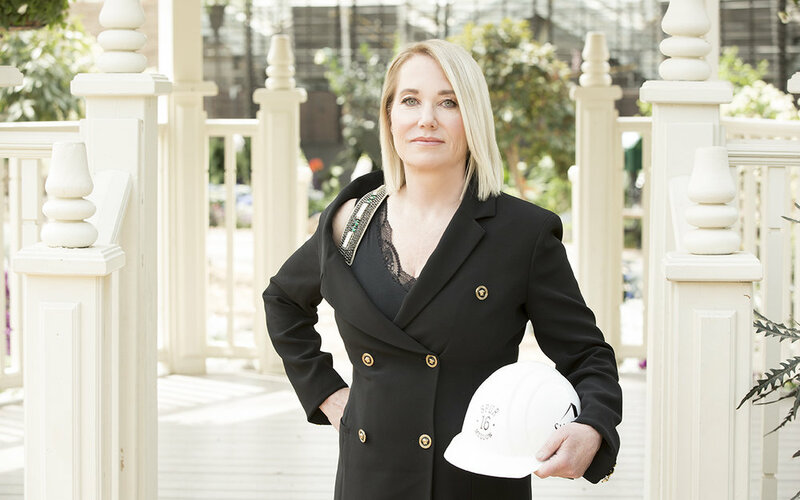 Shaffer’s advice for women considering getting into property development?